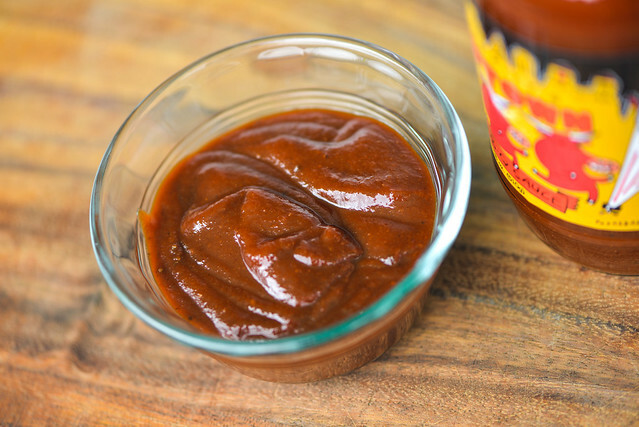 Cowtown Bar-B-Q Sauce delivers all the ubiquitous barbecue flavors—sweet molasses, tangy vinegar, fruity tomato, and a light smokiness—in a robust, but balanced manner that makes it a great all-purpose sauce for your grilling and barbecue needs. Another one of my earliest sauce reviews was for Cowtown's Night of the Living Barbecue Sauce, an incredibly hot sauce that hit the right notes of sugar, spice, and vinegar to make me fall in love. I picked up a bottle of their original sauce to see if it could hold up to my fond memories of their hot recipe. 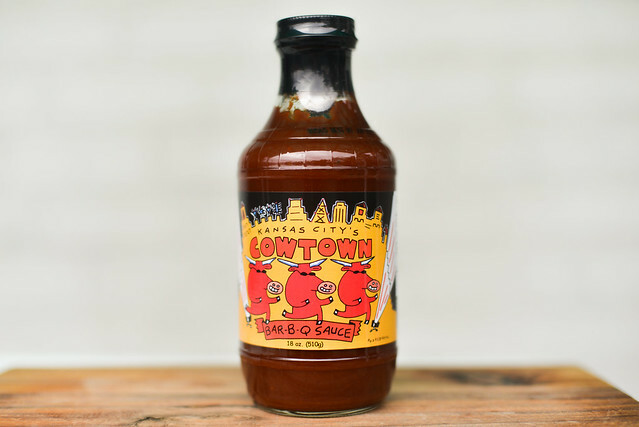 Cowtown is the brand name given to the sauces produced by Jeff and Joy Stehney who headed up the competition barbecue team Slaughterhouse Five in the early 90's. After numerous successes on the competition circuit, the couple opened up shop with their friend Joe Davidson, creating Oklahoma Joe's in Stillwater, Oklahoma, named such to be an extension of Joe's already existing smoker company. Jeff and Joy expanded the business to a gas station adjacent location close to their home in Kansas City that has now become synonymous with the Oklahoma Joe's name. After Joe moved to Texas in 1997, the Oklahoma outpost was closed, but Jeff and Joy have continued to expand the business to what it is today—three restaurants, a catering company, and a line of sauces and rubs. 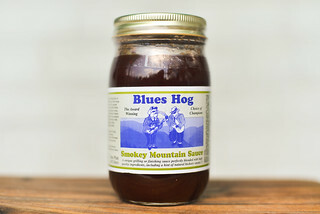 A first whiff of this sauce brings in all the ubiquitous barbecue aromas—sweet molasses, tangy vinegar, fruity tomato, and a light smokiness. The molasses stands out the most, but all-in-all, each of these are a in really nice balance with each other. A pleasant stroll down barbecue road ensues with a deep tomato start whose sweetness is given depth and body by way of molasses. The tart vinegar is the next step on the path, and it comes with an oniony background behind it. A mellow heat and faint smokiness ends the journey. All of this combined adds up to a nice standard barbecue character. There's a light texture to this thick, rusty red sauce. It's dark and opaque, which makes it difficult to make out any spices, although a stray spec of black pepper can be picked out here and there. Staying true to its thickness, the sauce falls from a spoon a few large drops, then stops and leaves a heavy coating left clinging. First taste brings a sweet and acidic start to the flavor profile. The sugar has the heft of molasses behind it, which balances out the tartness of the vinegar. As the sauce settles in, the tomato paste base gives a slightly fruity undertone, but mostly adds to the acidity, which now begins to tingles the tongue with its strength. The vinegar becomes pretty overpowering, but garlic and onion can be tasted in the distance briefly before an earthy spice begins to come in, which turns hotter the longer it sits. A mellow smokiness mixes in right before the sauce leaves the tongue, resulting in a spicy, tangy, and smoky aftertaste. This sauce coated the chicken in a heavy, uneven layer. It baked in well and gained more evenness over multiple brushings. When moved to direct heat, there was a little burn off along with attractive caramelization where the sauce touched the hot grates. The flavor fared even better after being cooked. The vinegar held its ground, but some added sweetness was coaxed out, putting the tart character out of the jar into a more pleasing balance. The heat, smoke, and spice were slightly diminished, but each built up after subsequent bites, delivering the full complexity of the sauce by the time the whole chicken leg was eaten. 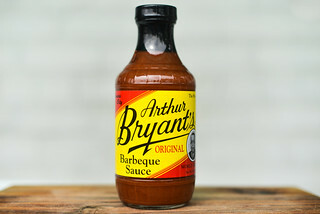 I got worried my taste buds had led me astray as I found such a huge gap between my rave review of Arthur Bryant's Sweet Heat in my early sauce testing days, and my distaste for their Original recipe, which I recently tried out. I was hoping good memories of Cowtown's sauce would remain intact, and I'm happy to say they totally did. While I am partial to hot sauces, the original Cowtown had plenty of heat and so much more keep me a happy eater. It brought in all the flavors you'd expect in a barbecue sauce in a nicely balanced and robust fashion. 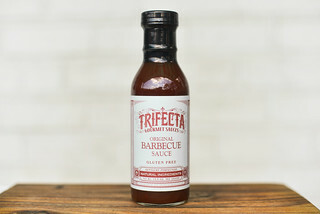 Pair that with the fact the sauce it stood up well on the grill, and altogether this makes Cowtown Bar-B-Q Sauce a great choice for any of your grilling needs. 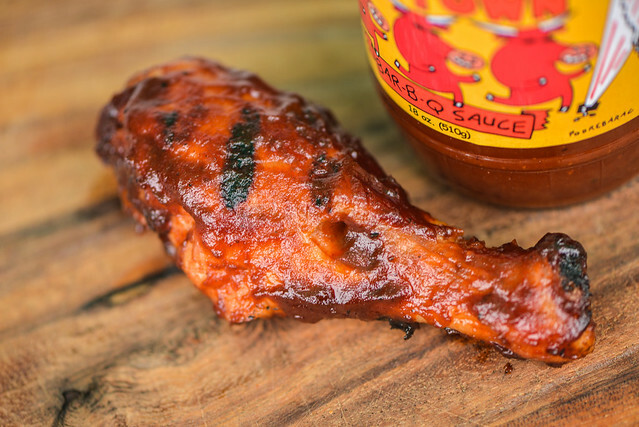 I think it's strong flavors would make it especially tasty on a burger or dip for a steak, but could also go a long way in giving ribs or pork shoulder an excellent barbecue profile. Absolutely love this sauce. Someone told me it is from Oklahoma Joes? This is my go to for Brisket. Not too many sauces are good on brisket, some people think brisket needs no sauce and I tend to agree. I think this is because most people love the sugar sauces but this is not one of them. Very well balanced, not too spicy, not too vinegar etc.